Kathleen A. Thomas Hinshaw of Phoenix, AZ, died November 11, 2004. She was born July 5, 1931, in Phoenix, AZ, to parents Warren E. Thomas and Anna Ruth Thomas. An honors graduate of Creighton Elementary School, Kathy graduated in the 1949 class from Phoenix Union High School as Salutatorian. She was elected President of the Associated Women’s Students at Phoenix College in 1950, was president of the Honor Board and named Outstanding Woman of her graduating class. Kathy is a graduate "With Distinction" from the Arizona State University and taught for a season at Machan Elementary School. This was the beginning of a forty-year career as an elementary teacher in four states. In December of 1952 Kathy married Lawrence A. Hinshaw of Phoenix and heard with him the call to Christian Ministry through the United Methodist Church. While Larry was receiving his education at Boston University School of Theology, Kathy taught in the Melrose School and later at Rockland. She paired with Larry in ministry at the Church Hill United Methodist Church in Norwell. While husband Larry was ministering in Hawaii, Kathy taught at the Mae Mae Elementary School in Honolulu. When the family was transferred to Los Angeles, Kathy taught at Woodland Hills, and was founder of the Newcastle Nursery School at St. Paul’s United Methodist Church in Encino. Later, Kathy taught at the La Escuelita Pre School in Tucson, and at the Laguna Elementary School. In Phoenix she taught at the Las Lomas and the Vista Elementary Schools in the Kyrene District until her retirement. Kathy and Larry are parents of three daughters, Laurel Lynne Stuebing (Carl) of Portland, Oregon, Deborah Suzanne Hinshaw of Phoenix and Carol Jean Jones (Mark) of Tucson. She is survived by them and by grandsons Michael and Eric and granddaughter Lauren. She is also leaving behind a multitude of friends who will miss her dearly. Kathy was an extraordinary teacher and a remarkable mother and pastor’s wife. She had many other interests as well, serving for a time as a docent at the Heard Museum and as a member of the Goodwill Industries Auxilliary. For many she is most remembered for her shared ministry role as Pastor’s wife in her husband’s several congregations where she was greatly loved. She is a co-founder of the Arizona Walk to Emmaus. She traveled widely to Europe, Ireland and England, the Middle East, Africa, the Mediterranean and the Orient as well as Mexico and South America. Although Kathy lived a full, exciting life and accomplished many things, she will be remembered and missed most for her sparkling personality, her generous heart, and her ability to make everyone in her life feel unconditionally loved. She was a leader, a buoyant presence, a wonderful listener, and a great lover of life. She will be greatly missed by all. There will be a Memorial service in her honor at the Central United Methodist Church, 1875 N. Central Avenue, Phoenix, AZ, Friday, November 19, at 11:00 A.M. In lieu of flowers memorial gifts may be sent to Central United Methodist Church, to the National Alliance for Autism Research, or the Cystic Fibrosis Foundation. Larry Hinshaw passed away on November 13, 2016, after a battle with cancer. Born in Phoenix on December 16, 1931, he was the second of four children of Asahel Delma Hinshaw and Maude Sanders Hinshaw. Larry's childhood summers were spent with his family near Payson, Arizona, where he developed a love of nature, hiking, and fishing that he carried with him throughout his life, and ultimately passed along to his children and grandchildren. He attended North Phoenix High School and graduated from Phoenix College, Arizona State College (now ASU), with a B.S in Social Welfare. Next, he attended Boston University School of Theology where he earned Master's degrees in Divinity and Social Ethics. Later he attended Claremont School of Theology where he received a Doctorate of Ministry. During his formative years he began to feel a pull to the ministry as he participated in various activities at Central United Methodist church, where he later served as assistant minister, and later still as head pastor. It was also during this time that he met Kathy, who would be his soul mate, wife, and partner in ministry for the next 52+ years. In his calling to Methodist ministry, Larry led churches in Norwell, Mass., Encino, CA, Honolulu, HI, Tucson, AZ, and Phoenix, AZ. He served as the Santa Barbara District and the Phoenix District Superintendent and as Director of California Pacific Conference Programs Council. He also established churches in Africa, and was regarded as the "father" of the Arizona Walk to Emmaus, a powerful spiritual ministry directly responsible for leading many individuals into lifetimes of ministry of their own. Throughout his life, Larry was passionate about traveling and meeting new people. He and first wife Kathy traveled throughout the United States and the world, visiting and making friends in China, Africa, and beyond. After Kathy's death, Larry re-connected with Doreen Hart, a long-time family friend. Love blossomed, they married, and shared 11 wonderful years together. They also traveled the world together, and both recognized their new love late in life as a "special gift from God". Larry will be remembered by friends and loved ones for his zest for living, his infectious laugh, his concern for others, his sparkling intellect, and his kind and sharing heart. He will be missed dearly! 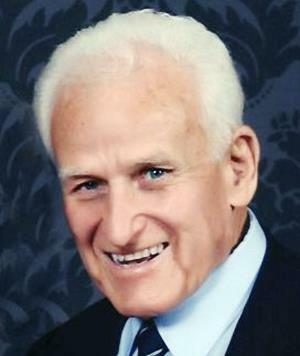 Larry was preceded in death by his wife of 52 years, Kathleen, and survived by his wife of 11 years, Doreen, his 3 daughters, 3 stepsons and 12 grandchildren. He also is survived by his 3 siblings Rogene, John and Raymond. A memorial service in his honor will be held on November 20 at 3:00 p.m. at St. Mark's United Methodist Church, 2391 St Marks Way, Sacramento, CA. Memorial gifts may be made to St. Mark's UMC in Sacramento, CA, Central UMC in Phoenix, AZ, or Payson UMC in Payson, AZ. Larry Hinshaw passed away on November 13, 2016 from his courageous battle with cancer. A third generation Arizonan, Larry was born in Phoenix on December 16, 1931. He was the second of four children of Asahel Delma Hinshaw and Maude Sanders Hinshaw. Larry's childhood summers were spent with his family camping on the Mogollon rim near Payson, Arizona, where he developed a love of nature, hiking, and fishing that he passed on to his children and grandchildren. During his time at North Phoenix High School, Larry participated in football and drama, landing the lead role in the all-school play, "Lilliom". It was during these formative years that he began to feel the pull to the ministry as he participated in various activities at Central United Methodist Church, where he later served as assistant minister, and later still as head pastor. It was also during this time that he met Kathy, who would be his soul mate, wife, and partner in ministry for the next 52+ years. After high school, Larry graduated from Phoenix College, an Arizona State College (now ASU), with a bachelor's degree in Social Welfare. Next, he attended Boston University School of Theology where he earned a Master's of Divinity degree and a Master's degree in Social Ethics. Later he received his Doctor of Ministry from the School of Theology at Claremont. In his 44 year ministry, Larry served churches in Massachusetts, Arizona, California and Hawaii. He served as Santa Barbara District Superintendent and simultaneously as Director of S. California Pacific Conference Programs Council, driving over 40,000 miles annually, focusing on growing church congregations throughout S. California, and into Nevada and Arizona. He was later appointed District Superintendent of the Central East District of the Desert Southwest Annual Conference. In retirement, he worked part-time as an Associate Pastor of Paradise Valley United Methodist Church. He also established churches in Africa, and was regarded as the "father" of the Arizona Walk to Emmaus, a powerful spiritual ministry directly responsible for leading many individuals into lifetimes of ministry of their own. In his early ministry, Larry focused his emphasis on social ethics and social concerns, serving as a chairperson of that Conference Board of the Southern California-AZ Conference. He was a strong believer in social justice and personal and societal accountability and responsibility. Throughout his life, he was passionate about traveling and meeting new people. He and first wife Kathy traveled throughout the United States and the world, visiting and making friends in China, Africa, and beyond. After Kathy's death, Larry re-connected with Doreen Hart, a long-time family friend. Love blossomed, they married, and shared eleven wonderful years together. They also traveled the world together, and both recognized their new love late in life as a "special gift from God". Larry will be remembered by friends and loved ones for his zest for living, his infectious laugh, his concern for others, his sparkling intellect, and his kind and sharing heart. He will be missed dearly! He wanted everyone to know how much he appreciated each and every one of you. He says, "Thank you and I love you!" Larry is preceded in death by his wife of 52 years, Kathleen, and is survived by his wife of 11 years, Doreen, his daughters Laurie (Carl) Stuebing, Deborah (James) Ponczko and Carol (Mark) Jones, and stepsons, Gary (Sonya) Hart, Jim (Cyndi) Hart and Jay (Barbara) Hart and by grandchildren Lauren, Michael, Eric, nine step grandchildren and siblings Jean (Richard) Minck, John (Christine) Hinshaw and Raymond (Jan) Hinshaw. A memorial service in his honor will be held on Wednesday, November 30 at 3:00 p.m. at Central United Methodist Church, 1875 North Central Avenue in Phoenix, AZ. In lieu of flowers, memorial gifts may be made to Central UMC in Phoenix, AZ, or Payson UMC in Payson, AZ.